Swindon is ranked among one of the top 10 highly innovative areas in the UK. 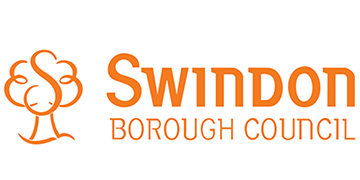 Swindon Borough Council’s directorate team endeavour to reflect this innovation, and are constantly assessing the service provided. Our teams are focused on improving service provision, which your exceptional skills across the educational sector will enhance. We have an opportunity for a Senior Advisory Teacher of the Deaf from September 2019. We are looking for an experienced and appropriately qualified Teacher of the Deaf who has good knowledge of Hearing Impairment and experience of working with children and young people in mainstream schools. This is a peripatetic teaching post full time (1FTE) working in the town of Swindon and the local area where necessary, based at Dorcan Academy in Swindon. You will be a person who is committed to inclusion and whose work is firmly rooted in making a difference to pupil outcomes and who will be able to work across the age range of 0-25yrs. You’ll be an enthusiastic team player interested in multi-professional, holistic working. The ability to manage your own time commitments and workload is essential. 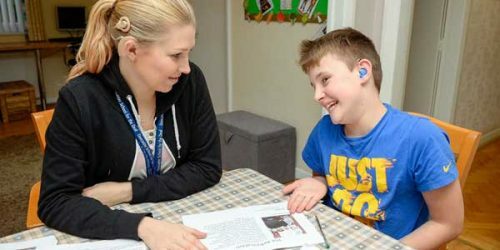 The Hearing Support Team is part of the Advisory Support Service and operates as a team across the Borough of Swindon and has a successful record of inclusion of children and young people with hearing impairment within mainstream schools and supports those in specialist provisions. Team members work closely with staff from the other SEN Support Services, working collaboratively to support settings to deliver positive outcomes for children and young people in Swindon. Working with children and young people from birth to twenty-five years, the Team has good working relationships with a wide range of agencies. A very high priority is given to in-service training, which you would lead on, and staff development. The team meet regularly to decide on the development priorities and to deliver training to up skill their mainstream colleagues. The job will provide challenging and stimulating work across the age range and in a range of settings. The role is varied and will include direct teaching of pupils with hearing impairment, assessment of their needs and advice sharing with settings. This position will be subject to an enhanced criminal record disclosure check. This is a public/customer-facing role, where the statutory English language requirement for public sector workers applies. Swindon Borough Council is committed to safeguarding and is an equal opportunities employer.